Homemade stuffing is my favorite part of Thanksgiving and should be eaten more than once a year. When I was younger, Thanksgiving was a big deal! The entire family would gather together at my Grandparents house for a traditional turkey dinner with all the fixings! Mashed potatoes, gravy, homemade rolls, and best of all Thanksgiving STUFFING! Oh my goodness, stuffing was my favorite. That was, until I learned what was in it! Sausage, bacon, giblets (including the liver and heart of the turkey) and all the pieces of meat that came off the bones from the turkey neck. Eeew, so gross! But here’s the thing, back then, it was so delicious! 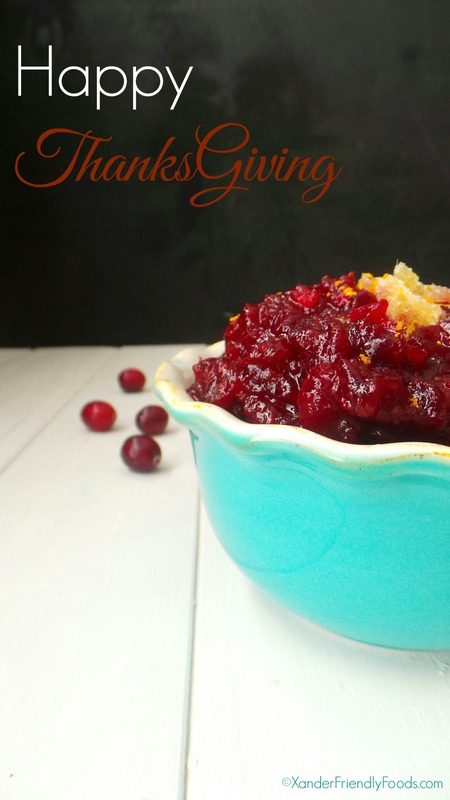 All the flavors that melded together, all the layers of texture, it really did outdo any bagged stuffing mix. Thankfully, after years of messing with my Grandma’s recipe, I’ve recreated it to be completely allergy-friendly as well as vegan! The texture is still there and the flavor…..amazing! 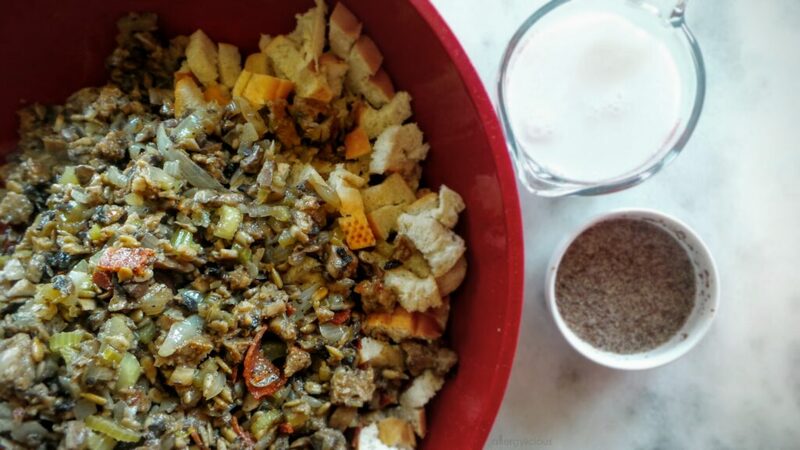 This is absolutely the best Allergy-friendly Stuffing (without all those giblets) that you’ll want to serve this Thanksgiving. 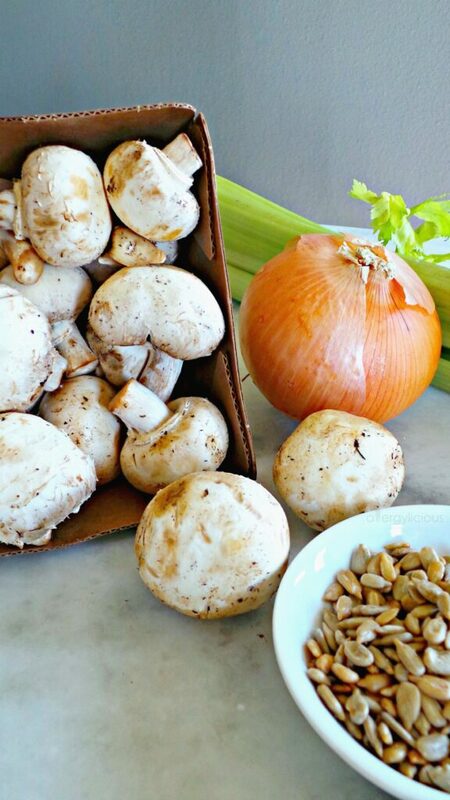 Onions, mushrooms, celery & sunflower seeds are where all that amazing flavor starts. Thankfully, none of those are a top allergen, so those get to stay in! And even if you HATE any of those, keep them in there! You just don’t want to miss out on all that goodness. 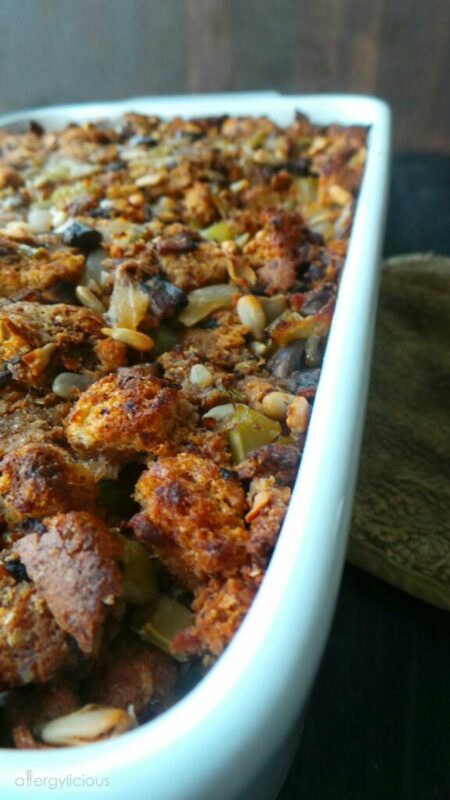 But here’s where I made some changes to keep this Thanksgiving stuffing dairy, egg & nut free as well as vegan. if you aren’t vegan, use grass-fed, hormone free, humanely raised sausage & bacon (I know I’m stepping on a few toes, but when life threatening allergies are a priority, some things must be secondary). Before everything goes in the oven, the essentials must be cooked on the stovetop, starting with the chopped veggies. You could cook everything in the stockpot at 1 time, but I like keeping the veggies and “meat” separate because I can better control the texture of the protein. melt the butter in a large stockpot then add chopped veggies and cook until softened. Remove with slotted spoon and set aside. cook sausage in stock pot with remaining butter (you can always add a little more) and break into small, bite size bits. Add to veggie bowl. lastly, break the bacon (real or plant-based) into bite size pieces and cook until nice and crispy. The crispier the better. The reason you need the large stockpot is because now you are going to add all the bread cubes, right on top of the bacon. Next, dump your bowl of cooked veggies and sausage on top, add the milk, flax egg and sprinkle on your herbs and sunflower seeds. Don’t be afraid to get your hands dirty either! You can use a big spoon to mix it up, but using your hands to stir and knead in all the fixings just seems to make it taste that much better. As a bonus, you can lick your fingers clean! Add your prepared stuffing to a casserole dish and bake. Need to free up some time? Prepare the stuffing up to 2 days in advance then bake the day of. I never liked eating turkey for days, but stuffing, that’s another story! I could eat it all the time! 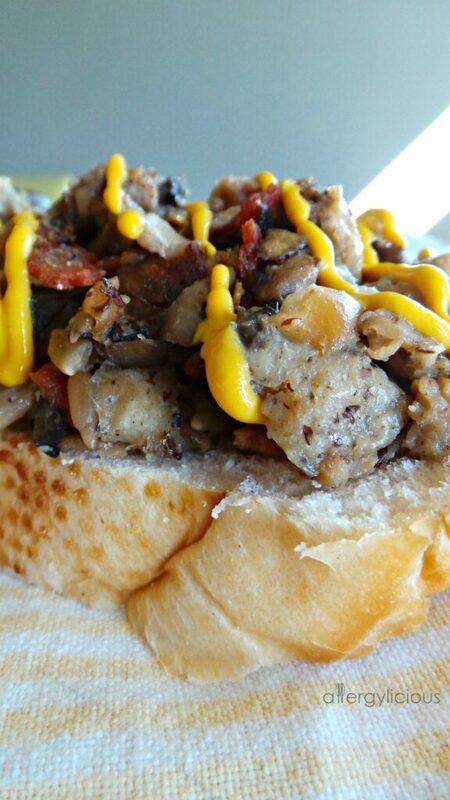 Sometimes, I would heat it up and drizzle some mushroom gravy on top but I especially like to eat leftover stuffing cold and in a sandwich. Are you intrigued? Just grab your favorite bread and pile on a nice heaping scoop of stuffing. Drizzle on some mustard and OMG, it’s a party in your mouth! 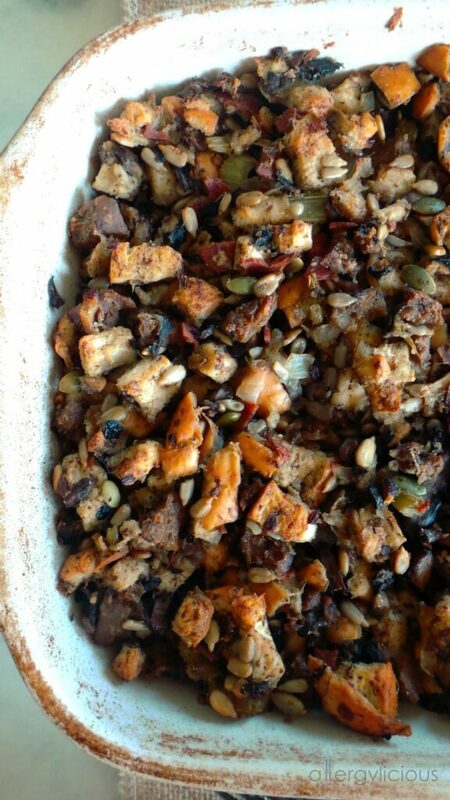 Let sides take center stage this Holiday, starting with this savory & delicious Vegan Stuffing. 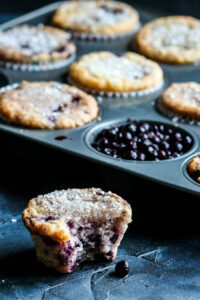 Allergy-friendly, easy to make with gluten free option. 2 loaves whole wheat or gluten-free bread, toasted or left out overnight to harden slightly. In a very large bowl, add 2 loaves of bread and break up with fingers or cut into small cubes. Set aside. In a large pan, melt 1 stick of butter. Add celery and onion, cook til almost tender then toss in mushrooms. Cook until soft. Remove with slotted spoon and set aside in medium sized bowl. Using the same pan/stockpot, add Gimme Lean Sausage (Add more butter if needed). Cook through and be sure to break into bite size pieces. Remove with slotted spoon and add to soft veggies. Cut up partially thawed pieces of Smart Bacon and add to pan. Cook bacon until nice and crispy. Dump bacon and any oils left in pan, onto bread cubes. Add cooked sausage and veggies also. Pour milk onto cubes, flax egg, sunflower seeds and poultry seasoning. Mix well until bread is saturated and ingredients are evenly distributed. Place stuffing into large 9×13 casserole dish and bake 45-60 minutes, or until heated through. Make stuffing ahead of time then cook the morning of. What family traditions make your Thanksgiving holiday, extra special? If you could only have 1 item on the menu for the holidays, which would it be? Be sure to answer below then head over to Allergylicious on Facebook and Instagram for the newest, allergy-friendly & vegan, Foodspiration! Pinterest is my favorite way to share with others, so be sure to follow me there & “pin” like crazy! Be on the lookout for our new name, it’ll be happening soon! I’m probably the weirdest, but I HATED stuffing growing up…I only fell IN LOVE the year I found out I had celiac! Haha! Go figure with it having to be gluten-free and homemade to get me to love it! That’s funny how you’ve only loved it as an adult. Although, I never liked anyone else’s growing up. Typically it all tasted like it was from a dehydrated bag and so gross to me. I hope you have a chance to try this…I’ve included the GF options. This looks delicious! I’ve never had bacon or sausage in stuffing, vegan or otherwise, so I’m intrigued! Ooooh this look delicious! I love a good stuffing. All the flavors in here sound perfect together too. YUM! Thank you Sophia! If I could only have one thing that day, it’d be this stuffing. Stuffing has always been my favorite part of the Thanksgiving meal. I could eat a whole plateful! This version looks so delicious!! I could too! Best part of Thanksgiving!!!! I love stuffing, and yours looks so good! I had never thought to use flax eggs with stuffing before. Thanks Dianne. My Grandma always used eggs to help bind it all together, but flax eggs works perfectly! Thanks Linda, I’m getting excited for Thanksgiving as well. Yesssss!! 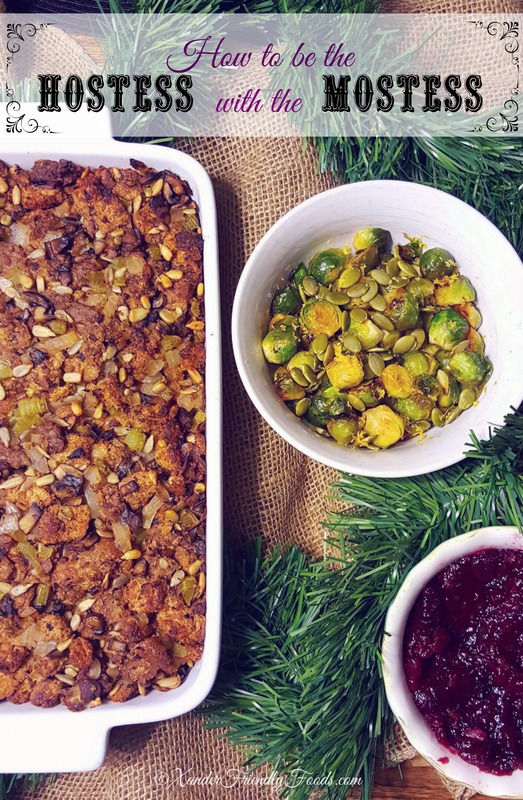 Thanksgiving already passed for us Canadians, but I might just have to celebrate when the US does so I can make this stuffing!! I’m alllll about the side dishes at holiday dinners, especially when there is roasted sweet potato! As a fellow Canuck (now living in US), I miss having Thanksgiving earlier in the year, but I’m totally for eating it twice and celebrating both. 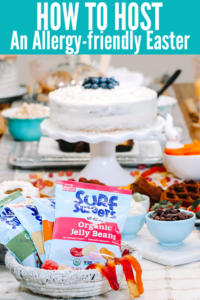 How is this recipe vegan? It has meat and eggs in it. My grandmas’s recipe was not vegan but this one is. There is a meat and egg substitute used. 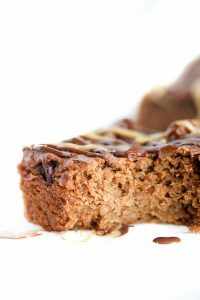 Flax egg (instructions in the recipe on how to make this) and then the meat substitute is by LightLife called Gimme Lean. It’s a great alternative. There is no meat or eggs. I use a vegan meat substitute (Gimme Lean) in this and flax egg as the binder. It’s completely vegan although it doesn’t look or taste like it.